On the next weekend i will upgrade our System i from V6R1 to V7R1 TR 6. 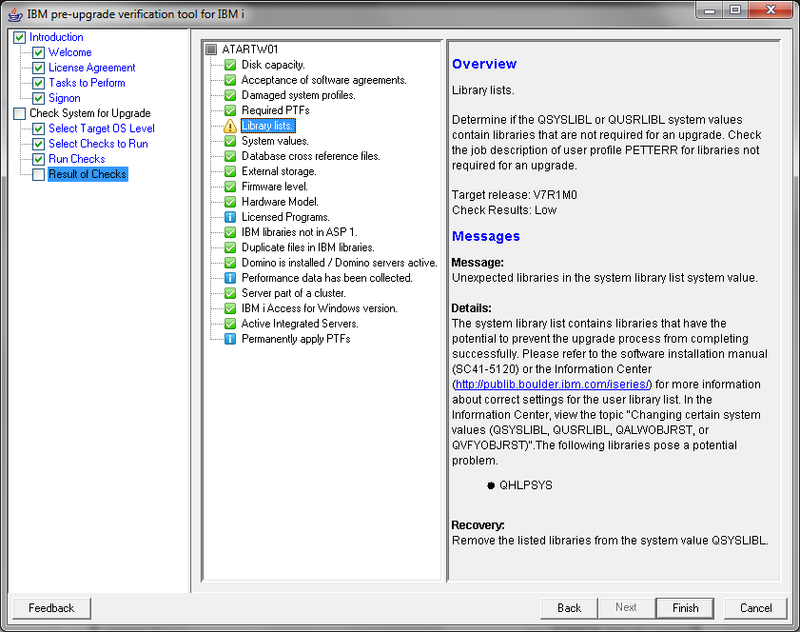 One valuable tool for the upgrade preparation from IBM is the Pre-Upgrade Verification Tool. 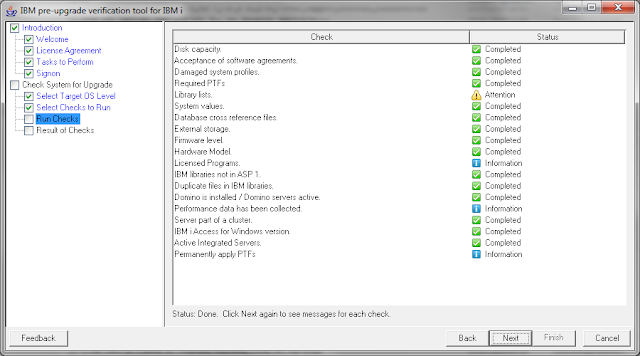 This tool runs on your windows workstation and checks if your system i meets all requirements and prerequisites to install the new release. 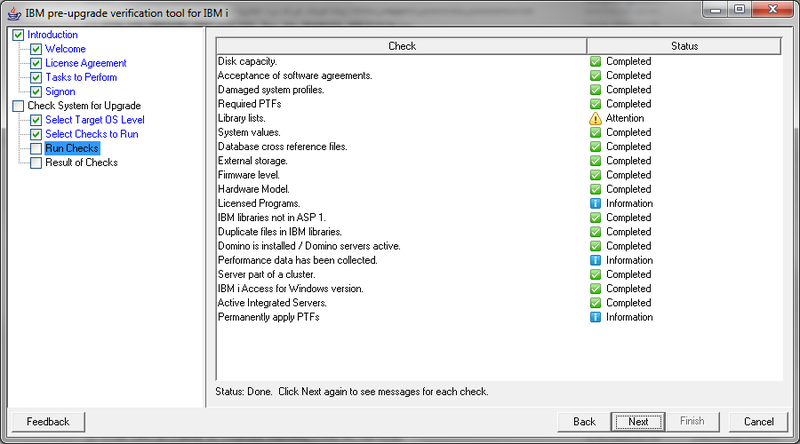 To run the tool simply download and decompress the tool to a folder. In this folder run the "run_pruv.bat". An wizard opens, which will guide you through the process of the verification. After the wizard finishes the tool presents an overview with errors or warnings which could break the installation of the new operating system. For every warning or error you will get a detailed description how to solve the problem. So in my opinion a really cool tool to make your upgrade easier.